My Favourite Chinese New Year Gift. My Macaron Tangerine Tree! 2015 has been an amazing year for us. 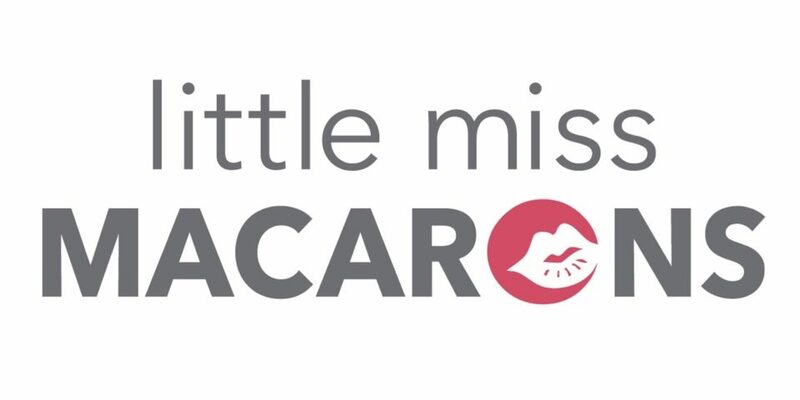 Started a passion 6 years ago, then braved into starting a business in Autumn 2014, we cannot wait for more exciting development of our handmade Macarons and see how far we will go in 2016. 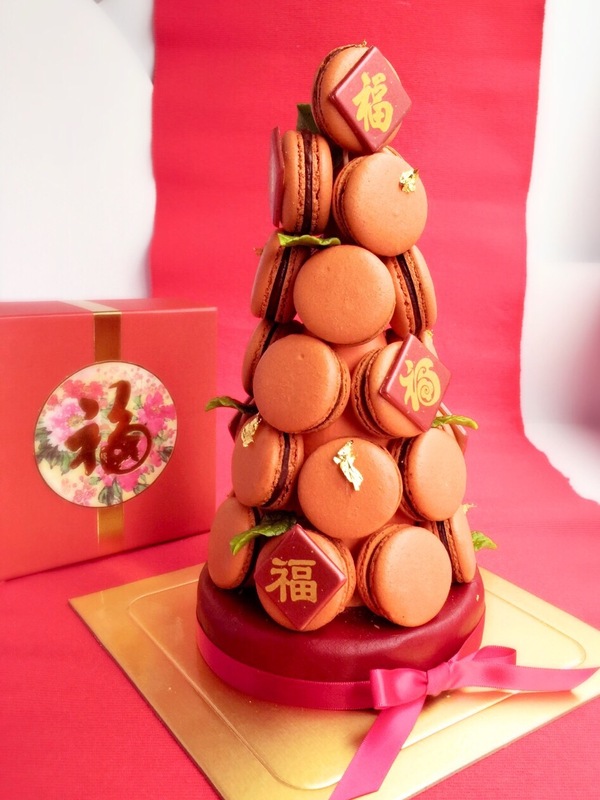 We are going to kick off the Year of Monkey with this beautifully handcrafted Macaron Tangerine Tree. 26 Macarons, at 26cm tall, decorated with edible gold foil and chocolate decorations, I will surely be making and giving this lovely gift to my family and my best friends. Thinking of the same as me? Well they are now up for pre order at our online shop . Don’t hesitate, this is a limited offer. 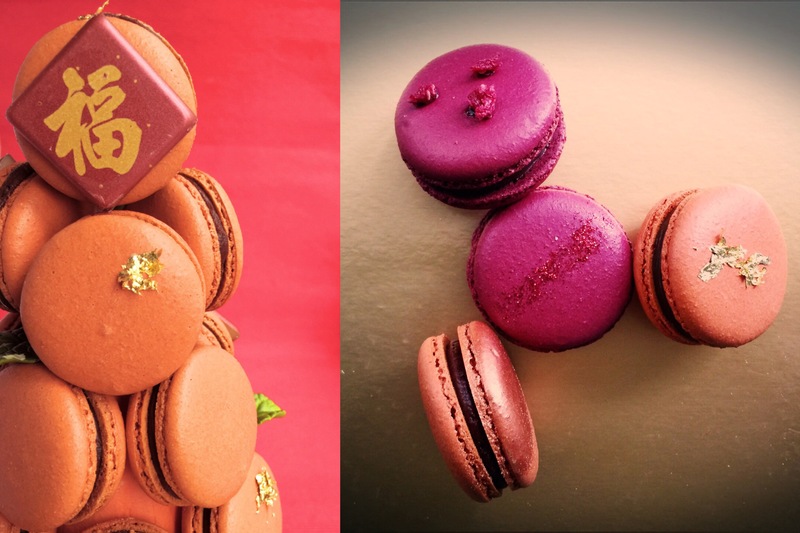 We do not plan to make many of them to ensure we have the best quality Macarons for you. 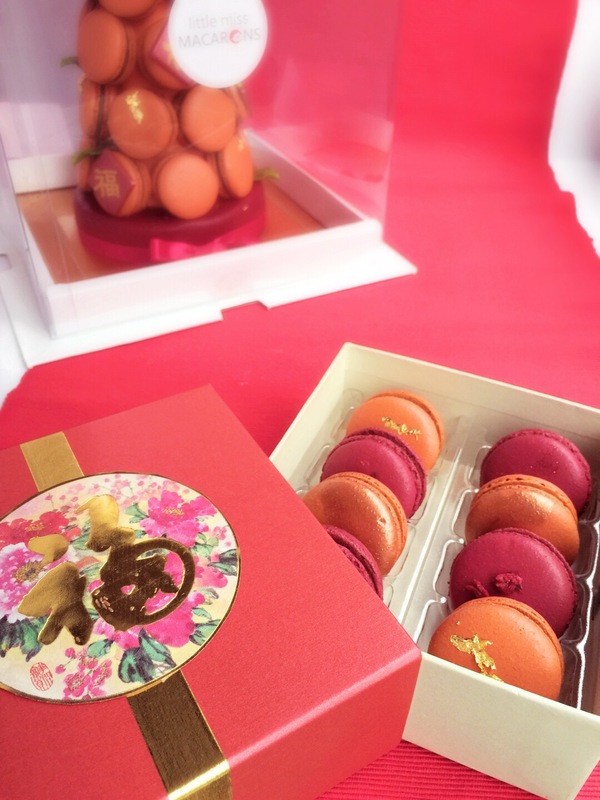 If you are simply looking a small gift for your loved ones or to munch on the way to visit your friends, we have a 8 macaron gift box on offer and they are equally gorgeous decorated with gold foil and freeze dried berries, and many more goodies. May I wish you all Weatlh, Health and Happiness in the year of Monkey!